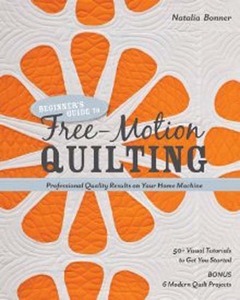 Professional quality results on your home machine, More than 50 quilting designs to create modern quitls with classic style! Instructions are illustrated with detailed step by step photos that make it much easier to get beautiful results on your home sewing machine. Tips for choosing batting and thread, layering and basting, starting and stopping, and prepping your machine are included. After you've practiced, show off your new free-motion skills with six delightfully geometric quilt projects. 176 Pages.